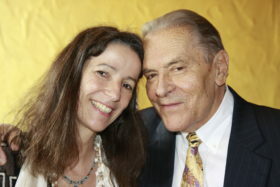 Stanislav Grof, M.D., (emeritus, not active) is a psychiatrist with over fifty years experience researching non-ordinary states of consciousness. He was born in Prague, Czechoslovakia, where he also received his scientific training – an M.D. degree from the Charles University School of Medicine and a Ph.D. (Doctor of Philosophy in Medicine) – from the Czechoslovakian Academy of Sciences. His early research was in the clinical uses of psychoactive drugs, conducted at the Psychiatric Research Institute in Prague. There he was Principal Investigator of a program systematically exploring the heuristic and therapeutic potential of LSD and other psychedelic substances. In 1967, he was invited to be Clinical and Research Fellow at the Johns Hopkins University, Baltimore, MD. After completion of this two-year fellowship, he remained in the US and continued his research as Chief of Psychiatric Research at the Maryland Psychiatric Research Center and as Assistant Professor of Psychiatry at the Henry Phipps Clinic of Johns Hopkins University, Baltimore, MD. In 1973, Dr. Grof became Scholar-in-Residence at the Esalen Institute in Big Sur, California, where he lived until 1987. He spent this time writing books and articles, giving seminars and lectures worldwide, and developing Holotropic Breathwork with Christina Grof, now deceased. 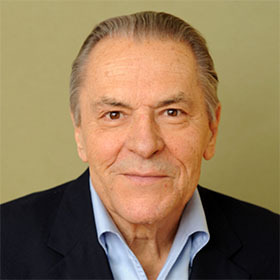 Stanislav Grof is one of the founders and chief theoreticians of transpersonal psychology and founding president of the International Transpersonal Association (ITA). In this role, he organized, jointly with Christina, large international conferences in the United States, India, Australia, Czechoslovakia, and Brazil. At present, he Professor of Psychology at the California Institute of Integral Studies (CIIS), teaching in the department of Philosophy, Cosmology and Consciousness. In 2016, Stan married Brigitte Grof. The couple divide their time between Mill Valley, California, and Wiesbaden, Germany. Stan continues to write and conduct lectures and seminars. At the 25th Anniversary Convocation of the Association for Transpersonal Psychology (ATP), held in August 1993 at Asilomar, California, Stanislav Grof received an Honorary Award for major contributions toand development of the field of transpersonal psychology. On October 5, 2007, he was granted the prestigious Award>>Vision 97<< from the Vaclav and Dagmar Havel Foundation in Prague. He also was invited as a special consultant for the Hollywood movies Brainstorm and Millenium. Among his publications are over 150 articles in professional journals, and many books, which have been translated into German, French, Italian, Spanish, Portuguese, Dutch, Swedish, Danish, Russian, Czech, Polish, Hungarian, Bulgarian, Romanian, Estonian, Latvian, Greek, Turkish, Chinese, Korean, and Japanese.